As a retailer it’s important to understand your buyers shopping habits and at what stage of the purchase funnel they drop off. Doing so, will help you fix any leaks in your process and help you increase sales. The problem is that many retailers lack the knowledge, time and resources to understand what the data is telling them. Fortunately Google has made it a little easier with the launch of enhanced e-commerce analytics. Enhanced analytics enables retailers to get deeper insights into the performance of their website so that they can make improvements that turn more shoppers into buyers. Understand where shoppers get in your shopping funnel and where they drop off. Understand what products are viewed most and which ones are frequently abandoned. Understand conversion rate at a product level. If conversion rates are low for one product, maybe there is a issue with the product or a disconnect between the message and the product. You will be better able to analyse how internal promotions impact sales and act on the results. Get insight into why some products have missed sales targets. Understand which products have a high refund rate. The more you understand about your store, the more you will be able to improve your website and improve your conversion rate. Our favourite reports are the shopping behaviour and checkout analysis reports. Both are visual so give you a quick snapshot into potential problems you may have with your shopping cart. In the report below, you will can visualise the users experience on your website and determine which parts of the site need improvement both at a site level and product level. You can see that users moved quickly to the product detail pages. In looking at the report, you can see there was a high cart abandonment rate. This could indicate that the design of the product detail pages need improvement. This report help to determine which parts of the site need improvement both at a site level and product level. In the example below, you can see that there is a big drop off at the account sign in stage. From looking at the data, it might be that users are reluctant to create an account with the store. A possible solution would be to test if offering guest checkout improves the drop off rate. In the report below, also notice there is also a drop off at the payment info stage. This may indicate a problem at this point in the cart. Perhaps the problem is technical, perhaps users don’t feel that their payments details are secure. Maybe there is a useability issue on certain devices like a mobile phone. Either way, understanding where the issues are will help you look at this page of your website with fresh eyes so you can uncover any potential roadblocks and take the appropriate steps to correct them. What traffic sources bring in the most revenue, which have the highest conversion rate and which bring in the highest transaction value. How do different marketing channels work together to generate revenue? What channels are under performing? What technology platforms make it harder for users to convert. You will need to upgrade from classic analytics to universal analytics. While both platforms are free you may need the help of a developer to add in a plugin and make some small coding changes to your website so this can take effect. As these analytics are relatively new, not all shopping platforms will be able to implement the change immediately without help from a developer. Given the the power of the reports, this is a small price to pay. The sooner you can get insights into shopping behaviour, the sooner you can make improvements to your website. 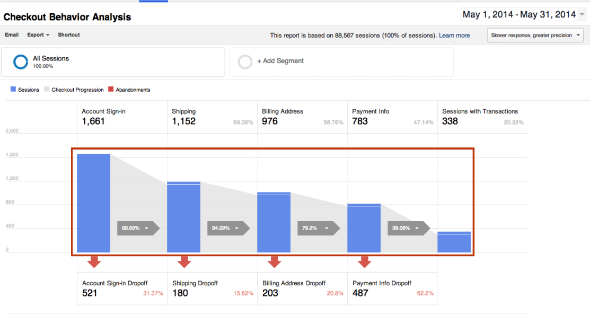 If you would like to learn more about analytics for ecommerce, what not do this free ecommerce analytics course from Google. If don’t have the time to learn or want to get bogged down in the detail, we can undertake data analysis for you, assist in implementation or even help you develop a measurement plan that works for your ecommerce store. Earlier this month, Pinterest launched its new ‘Gifts Feed’ for product pins. If you haven’t come across it yet, here’s a preview for you (refer image below). What are Pinterest Gifts Feed? Gifts feed is a collection of rich product pins from retailers that include product details, price and a link to the retailer website for intended purchase. Besides, all product pins have a price sign assigned to them to indicate their price range to users. For instance, $$$$ suggests products above $200, $$$ highlights products between $50 and $200, $$ shows products ranging from $25 to $50 while $ signifies all products below the price of $25. Users can also browse through product pins based on their price range. 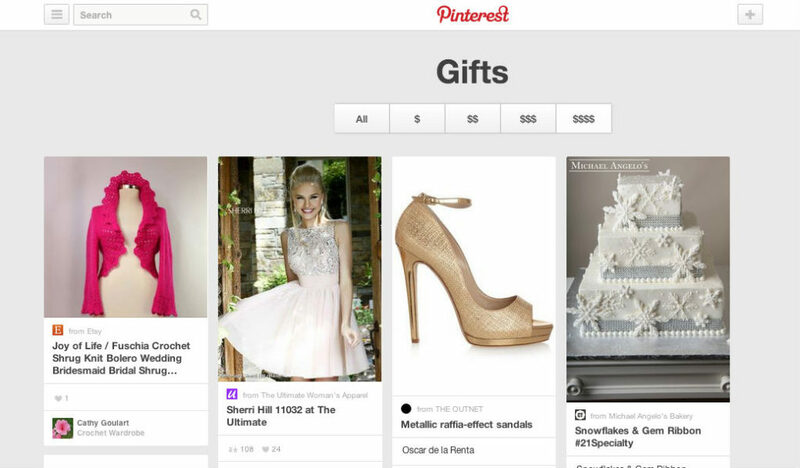 Why is Pinterest’s Gifts Feed beneficial for your business? It provides you with a great opportunity to not only showcase but also directly sell your products through Pinterest. Product pins are known to get higher click through rates than regular pins. You get to detail your product, price and availability on Pinterest itself. You can now target users who are really interested in your product and can afford to buy it (thanks to the various pricing ($) filters). The feed also makes it easier for shoppers to shop on a single platform that they trust – a great benefit for a retailer who wants to launch new brand/products or drive traffic to his e-commerce website. In case you decide to provide discounts on your products, all pinners who have pinned your product will get an auto notification – works as a great reminder for users to purchase products they previously pinned and may have forgotten about; creating a somewhat similar effect to re-marketing on other platforms. How to implement Product Pins on your eCommerce website? At this stage, retailers cannot directly add their products to Pinterest Gifts feed. In order to add rich product pins on your website, you have to implement one of these two collection methods for Pinterest to collect product data from your site which include oEmbed or Semantic Markup (use of Open Graph or Schema.org). Begin by choosing the kind of Rich Pin you’d like to apply for. This could be a product, recipe, movie, article or place. Next, read the documentation provided on this link. Third, add the appropriate meta-tags to your site. Fourth, validate your rich pins using this url. Finally once validated, you can apply to get them approved. If this is your first time on Pinterest, we recommend getting the help of a professional agency or developer to make things easy. For any further queries on Pinterest Gift feeds or to explore how you can use Pinterest for your business, do feel free to get in touch with us. We’d be happy to assist you! When you consider how much it costs for a retailer to make a sale, it is worth taking some time to consider what things are actually stopping potential prospects from buying. A case in point is my recent experience of trying to buy some aftershave for my father for his birthday. It’s a regular purchase I make every year. Normally I go straight to my favourite website StrawberryNet.com to make the purchase. My purchase pattern is so regular that it would have been a great opportunity for StrawberryNet.com to pre-empt my purchase and send me an email about it. Sadly this not happen. Even worse, the product was out of stock. This led me to a state of friction. Now I have to find a new store – one that is unproven and one that I have no experience of. In fact, it was a great opportunity for a new store to shine and prove to me why I should change my purchase habits and buy from them. So I searched in Google. My hope was to find a store that could sell me Yves Saint Laurent Pour Homme Cologne for a reasonable price, low shipping rate and could deliver within 14 days. Although I had previously visited the StrawberryNet.com online store and couldn’t find the product I was looking for, I saw a StrawberryNet.com product listing ad like the one below which showed they had the product I wanted. So I clicked on the ad only to be taken to a specials page which unfortunately did not have the product I wanted. One of my online shopping trips took me to BigW. 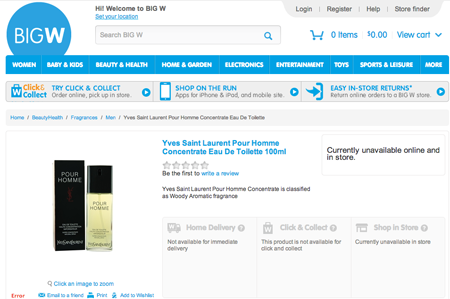 Kudos to Big W for getting their landing page right. I landed on the right page. Unfortunately the product was out of stock so I could not buy the product. In this instance, an alert system needs to be set up so that when products are out of stock, notifications are sent to their AdWords campaign managers so the ads can be paused. Next on my list to buy from was from FeelingSexy.com.au. The price was reasonable – the only thing was that the shipping price was not immediately noticeable. So I added the item to the cart and then went to check out. It took forever for the website to load to the checkout page. It might have been only 5 – 7 secs but it felt like a very long time. Finally when I got there it showed that the shipping price was $9.95. Hang on – didn’t I see another item for $52.95 with free shipping. I abandoned the cart. In this particular market, there are a number of players offering free shipping. FeelingSexy.com.au had a higher shipping rate which meant that while their price was reasonable, the combined price of the aftershave and shipping rate made in more expensive. Being a price conscious shopper I abandoned the cart. In this example, I clicked on an ad from TheIconic.com.au that took me to the right landing page. Fantastic. The price was a little more expensive but it offered free shipping on items over $50 making the offer one that I would be willing to accept. I clicked the buy now button. Nothing happened. Actually a message appeared asking me to select the product size. The issue is that there was only one size – 100ml. I couldn’t buy it. Perhaps it was out of stock – I don’t really know. So I did the next logical thing, I phoned the company. The message at the end told me that The Iconic was experiencing a higher volume of calls than normal and to leave a message via the contact form on the website. Seriously, given my first experience do you really think I trust that the contact form would work! My next step was to try a few alternative companies. 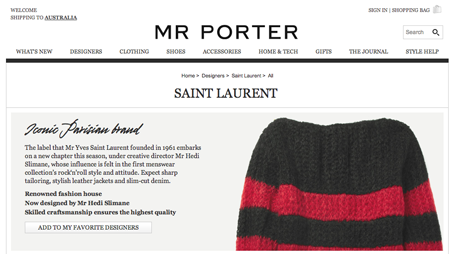 This led to to MrPorter.com and ReebonzAus.com.au. Unfortunately both stores took me to a landing page that displayed clothing and leather goods. From a cursory look I determined that neither store actually sold any fragrances. 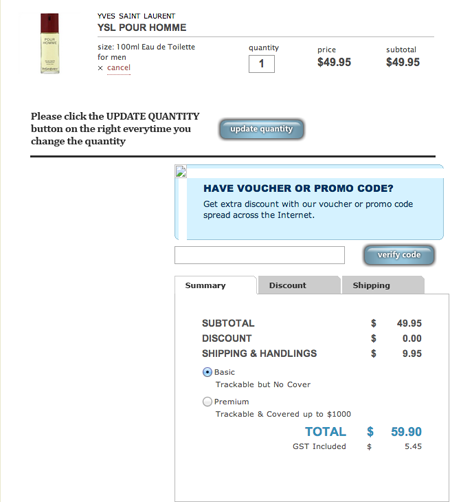 A classic example of how e-commerce stores can waste money on advertising campaigns that are not relevant to the user. In this instance, these stores need to add Pour Homme, Cologne and aftershave as negative keywords in their AdWords accounts so that they stop wasting money on wasted clicks. So there you have it. Getting people to your website is only half the battle. Retailers still need to make sure that help potential buyers actually can buy from them. What things stop you from buying online? Online shopping is growing, yet many retailers are slow to adopt a multi-channel approach. However, the boundaries of offline and online are becoming blurred. Competition from international retailers is growing and it is becoming critically important to stay ahead of trends and embrace digital technology. Retail is no longer about “bricks and mortar,” it’s about “clicks and mortar.” Below are some trends explaining why. This is Part 4 in a Series of Articles on e-Commerce. While PayPal & eBay report indicates 95% of online Australians now use online media for their research or discovery. This web or app-based behaviour most often results in an in-store purchase (75% have done so), or an online purchase (71%). Very few (just 5%) have never gone on to make a purchase. Search is the most common starting point (62%), in the online discovery process. eBay (42%) and promotional emails (37%) were also common. eBay and PayPal predict that m-commerce sales will reach A$5.6bn in Australia this year due to the rapid proliferation of smartphones and tablets. This is a massive growth from the total of just $155m in 2010. Based on a poll of 3,200 people, the study forecast that 64% of Australians would own a smartphone by the end of 2012, compared to 51% in 2011. These totals hit 39% and 18% respectively for tablets. Effective measurement of your marketing campaigns is essential if you want to maximise your marketing spend, improve advertising efficiency and understand which campaigns are profitable and unprofitable. The beauty of an e-commerce store is that measuring the effectiveness of your different e-commerce marketing campaigns is relatively easy. This is Part 3 in a Series of Articles on e-Commerce. Before you start measuring the effectiveness of your online campaign, you first need to understand what it is you want to measure. Apart from tracking sales, many retailers also want to track newsletter sign-ups, coupon redemptions, time on site, and even phone calls. Once your goals are determined, the rest is relatively straight forward. 1. Ensure Google analytics is installed on your website and that your Google Analytics profile is set to track e-commerce. This will ensure your e-commerce transactions are captured in Google analytics. 2. 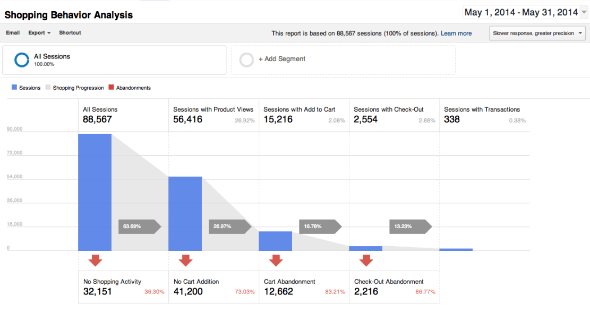 Set up goals in Google Analytics so you can track actions that you deem valuable (e.g. newsletter sign-ups, phone calls, etc). If you are not sure what to do, you may be able to ask your web development company to do this for you. If you want to do it yourself, you should be aware that you need to have administrator access to set up goals in analytics. This can be problematic as many agencies are reluctant to give you access to this – mainly because they have either set up your account incorrectly or are worried you might leave them. Be aware that this is data you own and should have full access to. Consider changing agencies if they are reluctant to give you full access or find an alternative solution. 3. 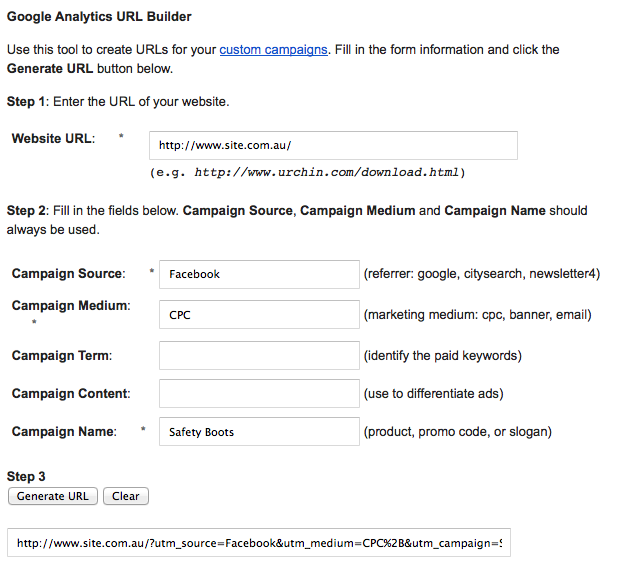 Use the Google URL Builder to tag your campaigns. Using the tool is relatively easy – you just need to add in tag elements to help analytics (and you) identify your campaigns. Apart from your website address, there are 5 main sections to complete but only 3 are mandatory. You can see an example of how we have used the URL builder to demonstrate a Facebook campaign using CPC for safety boots. The main thing is to define your main mediums and then consistently use the same tags for each medium. NOTE: You do not need to use these tools on Google AdWords. Instead, you need to link your Google Analytics and Google AdWords account and ensure auto-tagging is enabled. Quality of lead (hint – look at conversion data). 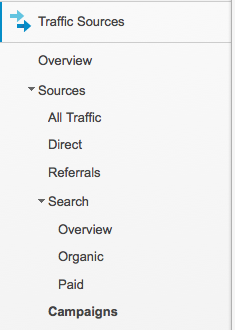 You can find your campaign tagging report in Google Analytics under Traffic Sources and Campaigns. In the first part of this series, we focused on a number of tactics that you can include in your marketing plan to help set the right foundation for your e-commerce website. We discussed that a “build it and they will come” approach no longer works and most online stores need to allocate a budget to help consumers be aware of their online store and the products they are offering. In this article, we focus on some advertising platforms that drive targeted traffic to supercharge your online store, drive sales and increase the visibility of your brand online. This is Part 2 in a Series of Articles on e-Commerce. One of the best known platforms for advertising your online store is Google AdWords. With AdWords, advertisers select the keywords that best represent the products they sell, write ad copy and select the maximum amount they are are prepared to spend per click. You can see an example of a Google Adwords Ad here. The beauty of AdWords is that you can set your own budget and you only pay for advertising when a user clicks on your ad (if you choose the cost per click option). Whilst set up is quick and you can have ads up and running instantly, it is worth taking the time to set up your campaign correctly and this can be time consuming. Apart from the search ads, Google also offers advertisers the ability to showcase their products in the search results. You can see an example below. To create Product Listing Ads, you’ll need an AdWords account and a Merchant Center account. 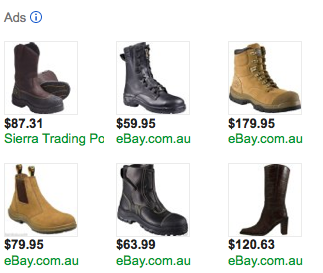 The products shown above are uploaded to the Google Merchant centre and then advertised via Google AdWords. Inclusion in the merchant centre also allows your products to appear in Google Shopping. Inclusion of your products in Google Shopping is currently completely free (advertising via AdWords is not). Your ads appear when someone searches for your products on google.com and google.com/shopping. Your potential customer will be shown a picture of your item, its price, and your store name. Customers who click on your ad will be directed to your website where they can buy your item. Google shopping utilises what is known in the search industry as a paid inclusion model. This means you’re charged only if someone clicks on your ad and lands on your website. My Shopping is Australia’s leading online comparison shopping website. Their Merchant Program includes free signup. There’s no contract and no minimum monthly spend and you can cancel your membership anytime if you’re not happy with the results. There is minimum budget of $50 which is required to open your account. You can consider this as your advertising budget and can be adjusted anytime. Listing your products and website on myshopping.com.au is also free. You only pay a referral fee whenever a shopper clicks on the link to your website. Super Plan – Your listings get higher priority. When your account gets below the minimum (which is automatically calculated based on your daily spending) it gets automatically topped up by an amount you pre-selected. This plan allows you to get all possible leads. Monthly Plan – Let’s you set a fixed monthly budget & stops your listing once the limit is reached. It automatically shows your listing on the next month or until you change your settings. Shopbot, which caters to the Canadian, Australian and British markets helps your customers find your products and directs them to your checkout. You get full control over your budget using their pre-credit system. You will need to provide them with your data feed in order for them to integrate your products into the system and your items will be live within 48 hours. Shopbot is reported to attract 2 million unique visitors per month and offers 3 different types of accounts according to your budget and requirements. Basic Account – Includes the name of your store, product description, product photo & product price. Basic Plus Account – Includes all the features of the Basic Account plus you get to add a promotional phrase to your listing. Pro Account – All the features included in the Basic Plus Account and you can add the logo of your store. Shopbot will also provide you with an analysis tool that will help you track your ROI so you can monitor your conversion rates, cost per sale and average sales. Anybody who’s got online access has heard of eBay and it being the world’s largest auction site. Of course, if you already have your own e-commerce website, you could be thinking how redundant it would be to open up another store on eBay. Well, think again. A lot of e-commerce websites are using E-Bay to drive more customers to their sites. Even the big guns, such as Toys R Us, Neiman Marcus, Radioshack & Barnes and Noble have eBay stores. E-Bay will charge you sellers fee’s depending on the type of listing you choose – auction style or fixed-priced format. There is an “insertion” fee which is how eBay charges you for listing an item and the “final value” fee the moment your item is sold. Provide information – Enclose a company brochure or a product catalog as well as your URL in the good you sell. eBay ID – Make sure that you choose a username that matches your business name or domain name. About Me page – Use the about me page effectively. Make sure you share relevant information about your products and your business on this page and include a link to your website here (effective as of August 2012). No advertising – You cannot advertise your site directly on your eBay auctions. However, you can sell low-cost & introductory products to start building a customer base. Most people’s journey for purchasing products start with search not ebay. Ideally you want to capture people early in the research process so you can remarket to them so that they think of you when when they are ready to buy. 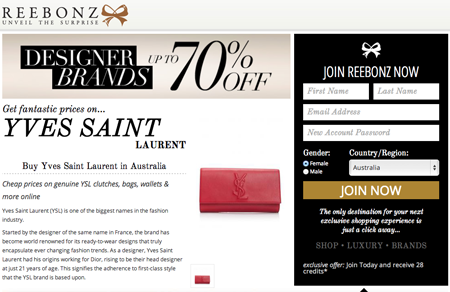 Getprice.com.au is a media company that connects retailers with shoppers. It distributes retail content via the Getprice platform to a national network of web, mobile and print publishers including Bing, Yahoo, Choice, News.com & Nine MSN. Information about how it works is delightfully vague. However it’s lies in the large amount of traffic that could potentially be generated. Nextag is another comparison shopping website that also allows buyers to find out what other people think before making a purchase. It caters to markets in Australia, France, Canada, Germany, Italy, Japan, Spain and the US although there is an Australia specific website which attracts 850 thousand unique visitors each month (30 million worldwide on the nextag.com site). Aside from their merchant program, you also have the option to advertise your business through their Pay Per Click advertising program. Like Google AdWords there are no listing fees or set-up costs. You only pay Nextag when they refer a qualified lead to you. Campaign optimisation – They offer free and automated ROI tracking system. Although Amazon is one of the world’s biggest online retail networks, along with eBay, it still restricts businesses from Australia from selling their products on the Amazon virtual stores. Amazon has no headquarters or staff based in Australia even though they sell at least $100 million worth of products to Australians annually. There have been rumors that Amazon is finally opening its merchant program to Australian businesses, however it still remains mum about the buzz. You cannot upsell to a customer buying your product, so you can’t promote your website. You cannot directly get in touch with a customer searching for your product; Amazon does not allow merchants to do that. You do not have access to customer information when Amazon does the shipping with its Fulfillment by Amazon service. Amazon pricing for merchants is pretty expensive. You have to pay USD $480 a year, plus 15% referral fee and an additional USD $1.35 closing fee for media products. Maybe Amazon is the right place for some vendors who are just looking for product revenues but it’s certainly not the ideal place if you want conversions on your online store. There are a number of different ways to advertise your products online. Whilst the options provided may just come down to your budget, adopting a multi-channel approach could be an effective strategy as your grow your online business and look for incremental sales. in the era of personalised search where Google serves up different results to different people, we believe taking a multi-channel approach will pay dividends. The challenge will be to effectively measure and test what is and isn’t working. We address this in part 3 of this series. So stay tuned and bye for now! Attracting and retaining customers is a common problem for many online store owners. However, the best and most effective way to boost your online sales is through a well-planned marketing campaign where you have several things that work together to help boost e-commerce sales. Here we have uncovered some tactics worth considering for inclusion in your website marketing plan. This is Part 1 in a Series of Articles on e-Commerce. Drive traffic & extend the reach of your website with paid advertising, search engine optimisation and social media. Nowadays, Google and other search engines favour websites that have great content. Not only is this part of a good SEO strategy, it also helps build trust with buyers. Content that focuses on solving customer problems will help build this trust. Your content should be relevant to your business, well written, easy to read, have impeccable grammar and your content should be spelled correctly. Adding suitable and clear images are a plus as they help capture attention. Use specific, relevant and compelling product descriptions. Focus more on benefits rather than features. Blog consistently about all things relevant to your business. Implement a content plan directed for social media so you can get closer to your audience and build a community. There are so many social media and web 2.0 platforms, it can be difficult to know which one is best. The main thing is to choose the ones where your potential customers are most likely to hang out. Don’t just sign up to the biggest platforms unless you know your potential customers interact there. Once you have set up an account, don’t allow your Blogger, Twitter or Facebook accounts to just lay dormant. You need to personalise your pages and make them interactive. Have an opinion and be looked upon as an expert. Use only the most relevant keywords that reflect the products seen on your online store. You can use Google’s free keyword tool to get started but remember to ensure the keywords you choose are relevant to what you are offering. A really cheap but effective way to advertise is through word of mouth advertising. Every time you have the chance, tell people about your online store along with your products and services. Create business cards, fliers, catalogs, brochures, etc – include your URL and distribute them to everyone. And of course, a good social media strategy well implemented will help others spread the word for you. Give your e-commerce site a boost up by encouraging your current brick and mortar customers to join your newsletter. By having a newsletter you can encourage them to purchase online. Give them discounts, freebies or free shipping if they do checkouts on your online shopping carts. Encourage repeat business by making sure that your customers have something to look forward to every month. 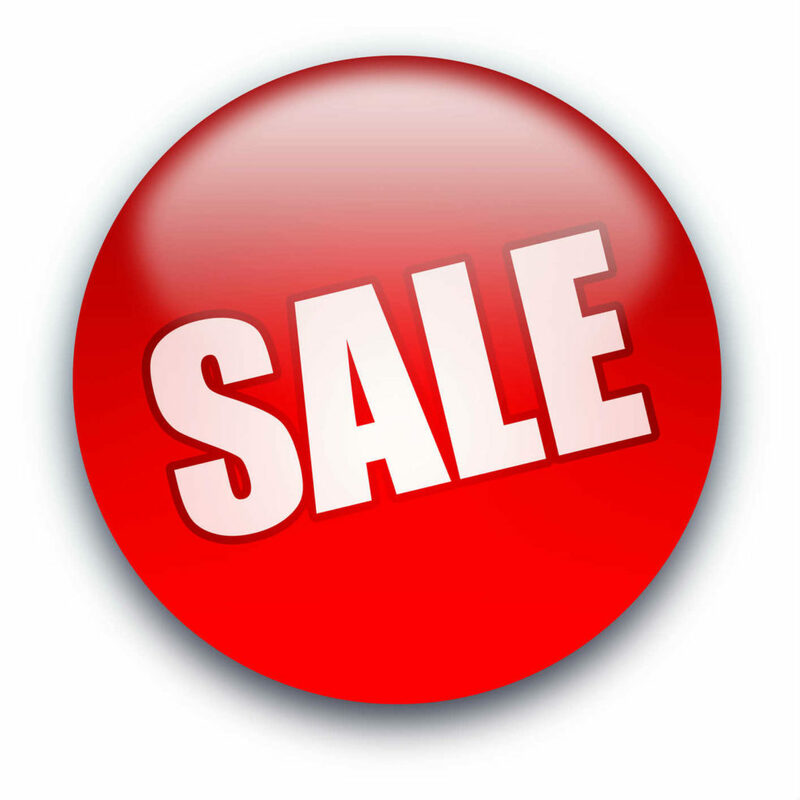 You can have a sale one month, a buy one get one promotion another month, show of your new products the next, offer discounted bundles on the fourth month and so on. Make sure you inform your clients all the exciting things in store ahead. Your customers can be part of your marketing strategies. When they bring someone new to buy stuff on your website, reward them with coupons, discounts or a percentage of the sale that they can accumulate and use on your store. Every time something news worthy comes up, let all the right people know through a news release. You can use an online press release directory such as PR Web and you can even send your release to local publications and newsletters. Be on the lookout for this events happening in your community. These are great avenues to showcase your products and services while putting emphasis to your online shopping site. Having a well optimized website makes it easier for your customers to find you. Make sure your website is fast to load. Also ensure you have relevant and catchy meta page titles and descriptions, your keywords are in the right places and you have white hat link building strategies. You can complement your organic SEO efforts with pay-per-click advertising through Google Adwords or even Facebook. There are also several other advertising alternatives which we explore in part 2 of this series. Make sure you install Google Analytics or some other web analytics package. It’s important to track what is and isn’t working so you can do more of the things that work, less of the things that don’t or even fix the things that aren’t. Remember, everything you do can be easily tracked and measured. It is just a matter of knowing how. A good tool for tracking campaigns is the Google URL Builder. You can use this tool to track email marketing campaigns, Facebook advertising or any other paid forms of advertising. In the next part of this series, we focus on how to supercharge your e-commerce website using paid advertising. Should You Launch An e-Commerce Store? Many Australian retailers have been reaping the benefits of taking their store online while other retailers have been slow to respond. The perceived ease of setting up an online store has meant that the number of start up e-commerce stores have also increased. So why are businesses & start ups being lured into the world of e-Commerce? What is the appeal of launching an online store? Should you really launch an e-commerce store? Overcome trading hour restrictions – customers they can shop in their pajamas, anytime of the day or week. Clearly emphasize all the things that set you apart from the competition. As you can see having any sort of store is not for the faint-hearted. There is a lot of work involved and one person will not be able to do everything that needs to be done. Remember, an online store does not have the advantage of visibility like a physical store located on a busy road does. Increased competition and growth in this space means you are no longer able to take a “build it and they will come” approach. The critical thing with an online store is to have a solid marketing plan and strategy in place. Instead of paying rent, consider that you need to allocate money towards marketing your store. If you don’t have the tome to manage the marketing of your store, why not check out our e-commerce series or outsource your marketing to a professional digital marketing agency like the team here at Swoop Digital (yes us).